Thus, the universe is reduced to expressing order through sphere, genuine brick of the open, immeasurable, infinite, construct, which inhabits the geometry of spheres with morphodynamic, disk or spiral adjacencies. This geometric minimalism allows the existence, at the tiny thinness of the biosphere surface, of the entire morphological diversity, subject to a permanent construction and deconstruction. Keywords: sound, vibration, fluid, cymatics, sphere, vortex, standing wave, biomorph, cosmogonic, language, morphodynamic, computation. General concept: The visualization of sound is one of the ancestral human dreams. Surprising the image of the aural ephemeral has been interesting scientific environments to this day. Almost everything in the universe is in a vibration state. Clarifying the hierarchy, the origin and co-substantiality of form with the natural language algorithm, grafted on phenomenal synergies, inextricably situates form as a result of stationary wave interference in conjunction with symbolic language-induced inferences. 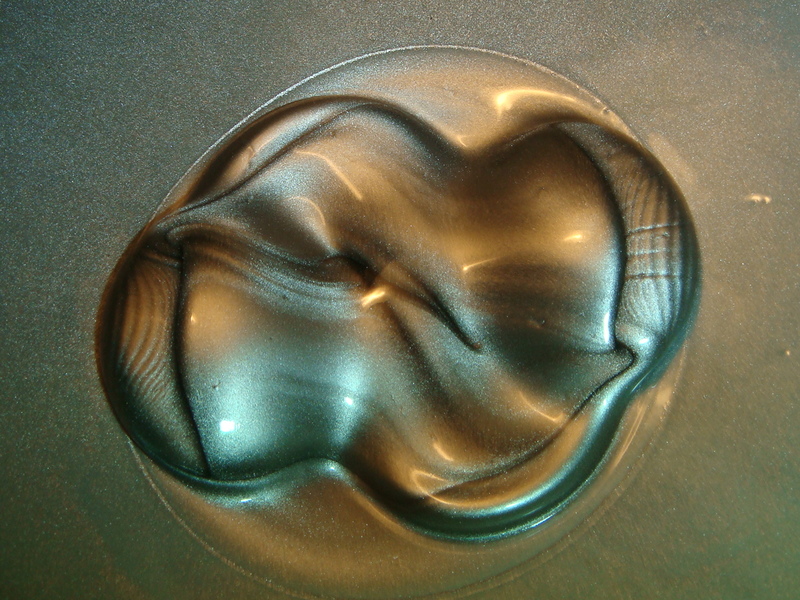 The influence of acoustic wave fields on liquids reveals surprising morphodynamic frames in response to fluid which is crossed by the train of sound waves which induce and maintain stationary waves, imperceptibly shaping the carefully selected liquid. The metamorphoses of liquid matter, traversed by vibrant energy, reveals in the form of dynamic patterns, symmetry generated by interferential overlays of venters and nodes of standing waves, stabilized periodically in the fluid mass. Thus, at the confluence of sound-container -liquid interactions, as the resultant sound is visualized. The dynamics of standing waves arising in the sinuous pulsations of circular liquid surfaces, builds unifying bridges which equal the laws of musical harmony with polyhedral geometry.